New “snakeskin” mystifying images of Pluto sent by Nasa’s New Horizons probe have revealed a multitude of previously unseen topographic and compositional details. The images captures a vast rippling landscape of strange, aligned linear ridges that has astonished New Horizons team members. “It is a unique and perplexing landscape stretching over hundreds of miles,” said William McKinnon, New Horizons team’s deputy lead from Washington University in St Louis. “It looks more like tree bark or dragon scales than geology. Maybe, it is some combination of internal tectonic forces and ice sublimation driven by Pluto’s faint sunlight,” he added in a statement. 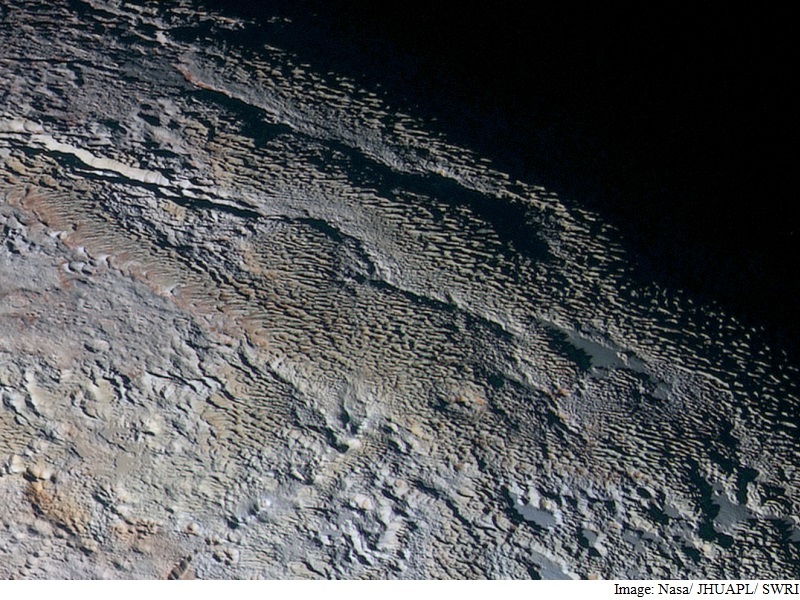 The “snakeskin” image of Pluto’s surface is just one tantalising piece of data New Horizons sent back in recent days. 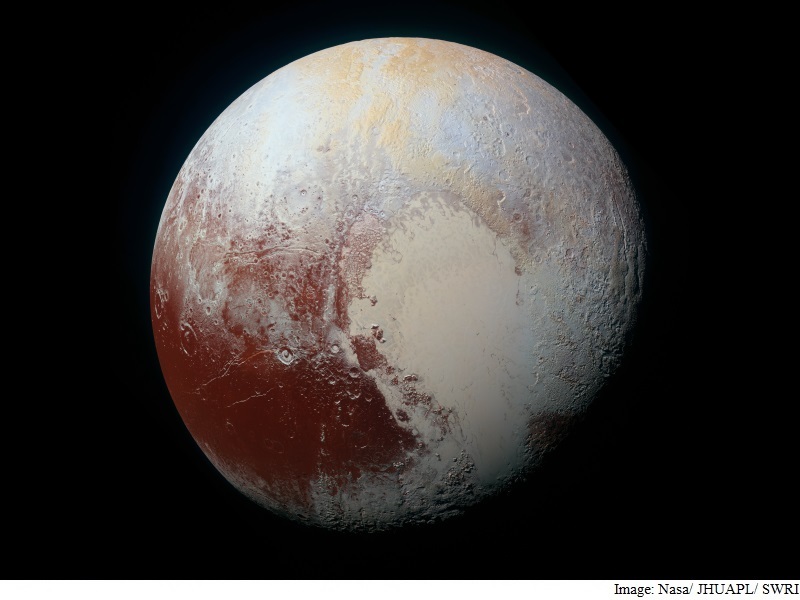 The new “extended colour” view of Pluto shows the extraordinarily rich colour palette of Pluto.